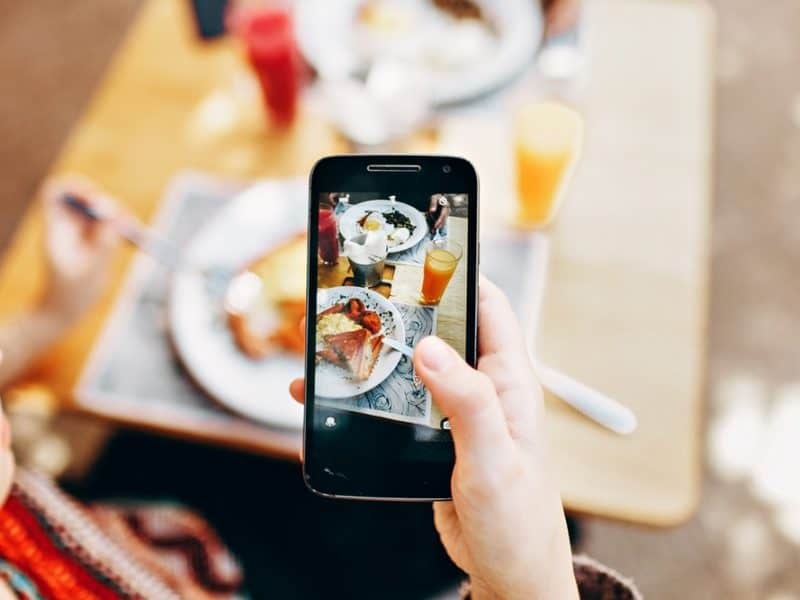 Check out this list of 30 restaurants, coffee shops, and convenient stores that offer free gifts when you use their apps, then pull your phone out and get ready to enjoy those treats. Did you know you can download mobile apps and get free food? If you’re going to be eating at your favorite restaurants all the time anyway, you should download their apps and start earning free food. Many restaurants have loyalty programs that reward you with coffee, desserts, appetizers, and more, simply for eating the foods you love. Join 7Rewards and start earning points for free snacks. Every purchase gets you that much closer to your favorite foods for free. With the ampm Scratch Power app, you don’t even have to earn points to reap the rewards. Simply play the game to see what you’ve won. Get new scratchers every time you check in to an ampm store. The Auntie Anne’s Pretzel Perks app helps you earn points for free pretzels and gives you access to exclusive offers and rewards. You’ll get a free scoop just for downloading the the BR mobile app. Then cash in the exclusive offers for free ice cream and some great discounts. At BJ’s Restaurant & Brewhouse, get 20% off your lunch order when you use mobile pay through their app. You’ll also receive exclusive offers and coupons to use. With the Blazin’ Rewards app, earn rewards toward free food with every purchase, plus when you check in. If you’re with friends who check in, too, you all earn even more points. Redeem those points for chips and salsa, drinks, or ice cream. Get exclusive mobile coupons with the BK app. Enjoy drinks and burgers at a discount! When you join CPK Rewards, get a free small plate on your next visit and a free birthday dessert. The more points you earn, the more free food you get, plus special offers and bonus points. Rewards with the Chili’s app include a free dessert on your birthday, free appetizers, free kids’ meals, and so much more. With the Coffee Bean Rewards app, earn points toward free drinks with every dollar you spend. You’ll get a welcome gift and a birthday treat, too, plus exclusive deals. Download Denny’s on Demand to keep track of your rewards, including 20% off your next visit, free birthday treats, and exclusive deals. The Domino’s app offers Points for Pies — which means you earn points for any pizza you eat, even if it’s not from Domino’s! Earn 60 points and get a free medium pizza from Domino’s. Download the DD Perks app for rewards and offers for free coffee and doughnuts. Get a free coffee on your birthday, too. The iconic furniture store also has a café with great coffee and of course, Swedish meatballs. Sign up for IKEA Family through the IKEA shopping app for free coffee and discounts on items from the restaurant and food market. Skip the line and earn points for free drinks with the Jamba Juice app. Sip up the savings! Get special app-only offers and coupons for your favorite Jack in the Box meals. Order ahead to have it all waiting for you when you arrive. You’ll get a free doughnut when you download the Krispy Kreme app. Every coffee and doughnut purchase earns you points for more sweet treats. Get access to exclusive weekly deals, such as free drinks and discount burgers, with the McDonald’s mobile app. The deals are always changing so make you keep checking. With Quiznos Toasty Points, get a free four-inch sub when you download the app and earn points for more delicious food. Use the Panera app to manage your MyPanera account and redeem your rewards for your favorite foods. Personalize your account to get discounts for exactly the foods you order all the time. With Peetnik Rewards earn free drinks and cash in on special offers. You can earn points just for checking in at the shop. You’ll earn triple points for buying coffee beans by the pound and get a free drink on your birthday. Every time you eat at a Red Lobster, earn rewards for free stuff. Get bonus points just for signing up, then redeem them every time you earn 125 points. Get free sandwiches and free meals with the Schlotzsky’s app. Get a free small sandwich just for signing up, $7 off after your seventh visit, and rewards for even more treats. With the Sonic app, get half-price drinks every time you order ahead! You’ll get all sorts of treats as you earn points, including a free soda for signing up and a free shake on your birthday. Collect stars with every purchase and get a free drink with every 125 stars. Starbucks features Star Dash games to collect even more stars to go toward your free drinks. Use the Steak ‘n Shake rewards app to earn points. You’ll get a free milkshake when you download it and earn $5 in rewards with every $50 you spend through the app. Join the MYTC Loyalty program for free food right away! Get free quesadillas on your next visit and earn points with every purchase. As a member of the TGI Fridays loyalty program, earn points with every order to use for free food later. You’ll also get free gifts for signing up and for your birthday. There are exclusive deals and members-only treats with every visit, too. Get exclusive buy-one, get-one deals and other discounts for your favorite foods and drinks with the Wendy’s mobile app. Every five times you check in at a Whataburger or place an order through their app, you’ll get free Honey Butter Chicken Biscuits, french fries, cinnamon rolls, and more.